I will post lesson plan ideas and lesson resources here. FYI I will be slowly moving all of the content from this page to my new short share site ideaFM.org. 1. Scroll to the bottom third of this post to see how I went about using a Twitter chat in English class. 2. Go to this site to see an example of the finished product of a class Twitter chat on Hamlet. I also have Twitter chats we have used with my staff during professional development, or as a means of documenting professional development with Twitter. 3. One of my favorite questions in a Literature Twitter chat is to ask the students to summarize the book in only six words. I got this idea from my co-worker Sean Ziebarth. He calls it #Litin6 you can see exactly how to do a Litin6 activity using Twitter here. You could also do a sciencein6 or #mathin6 or #historyin6 chat after a learning unit. We get so locked into what a kid’s blog or our blog should be. Can you image this as a daily online exit ticket, or a class Instagram? I can. 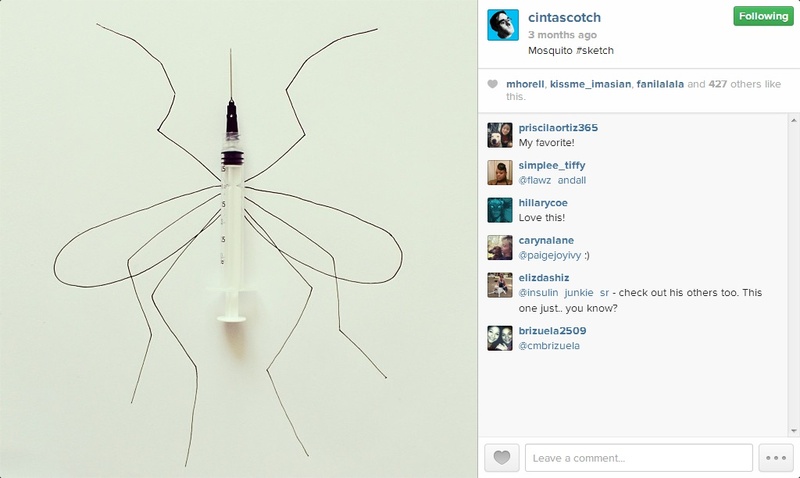 Javier Perez takes common objects and draws doodles around them. 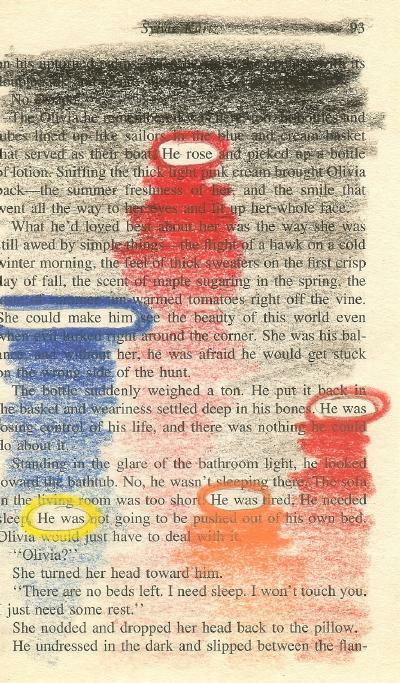 What if you took a line or two from a famous novel and had students use it in their writing. It would be similar to a found poem, but instead of mashing lots of lines they would just take one. Or you could give them the first half or second half of a poem and let them complete it. Getting started or finishing well is tough. This assignment helps students complete a task and stand on the shoulder of a giant. So once on the internet I saw a picture of a vending machine. The kind that gives out prizes in small plastic eggs. Myself, Rachel Jones and Tim Floyd started tweeting to each other that we should buy one of these and put it in our classroom. I even put forth the idea that I should buy one and bring it to a major conference and just set it up near a small table and chair. 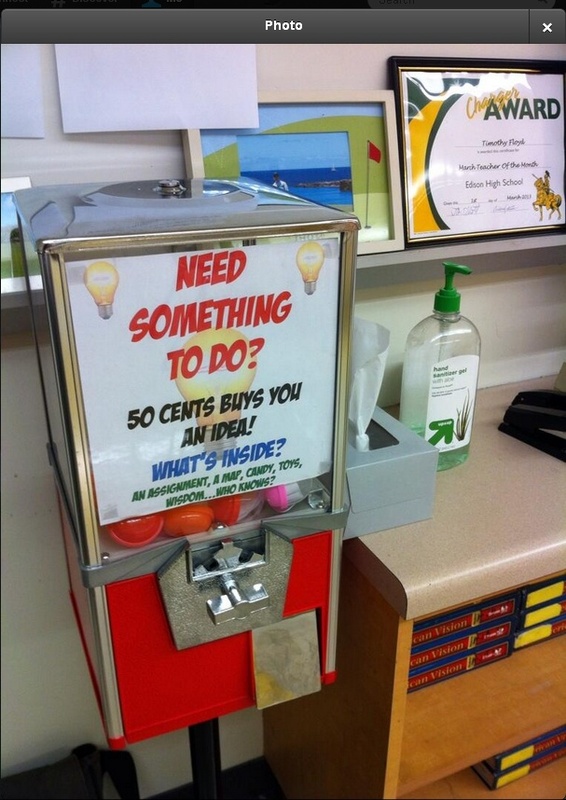 Well wouldn’t you know Tim actually BOUGHT one and put it in his classroom. When students are done with their work they can go up and see what they ‘won.” His biggest challenge is thinking of what to put in it. By the way if someone buys the for me for my birthday or Christmas I WILL bring it with me to springCUE in Palm Springs in 2014. Tanya Avrith and Holly Clark invited me to talk about why I blog with students. They recorded me in a live Google On Air Hangout. We are wearing funny headbands because it was Google’s Anniversary or something like that- you don’t questions Holly and Tanya you just go with it. If you are curious as to why you should try blogging with students just watch the 10 minute clip below. If you are in high school or college and you want to be inspired or TO inspire others to blog simply watch this wonderful documentary. Trust me. You could do a TON of lesson plans built around the image above specifically in history, science, economics etc…. 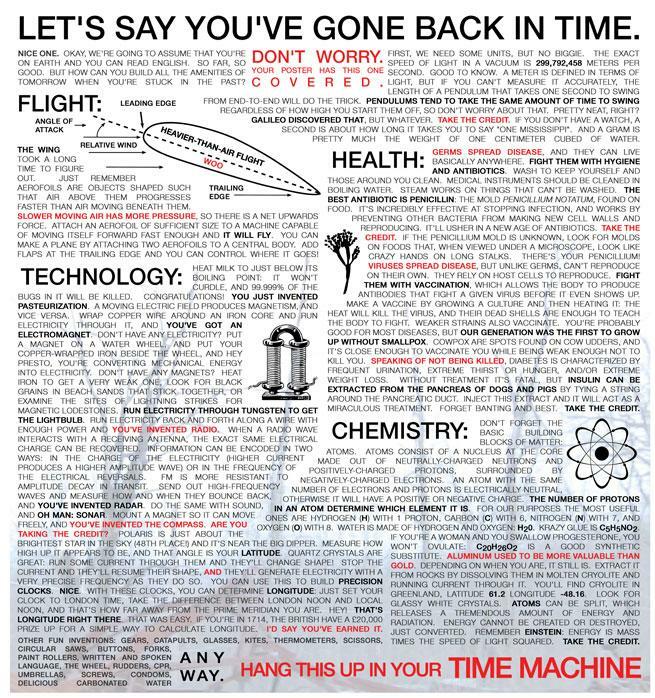 You could have students do research reports or presentations on which inventions or knowledge of inventions would bring you the most personal wealth if you brought them back in time. Or which invention(s) would bring the most wealth to your decedents over time. Or how about asking students to create a video showing how various time periods would accept or not accept your invention and how they would react? How about a presentation or video on which historical figure would be the most pleased by your invention or knowledge of a scientific concept. Lastly you could do a presentation/project on which invention/scientific concept has brought mankind the most pain/suffering and how would life be different without it. My students made their own character map as a class. Why settle for having your students USE a rubric when they can CREATE a rubric. 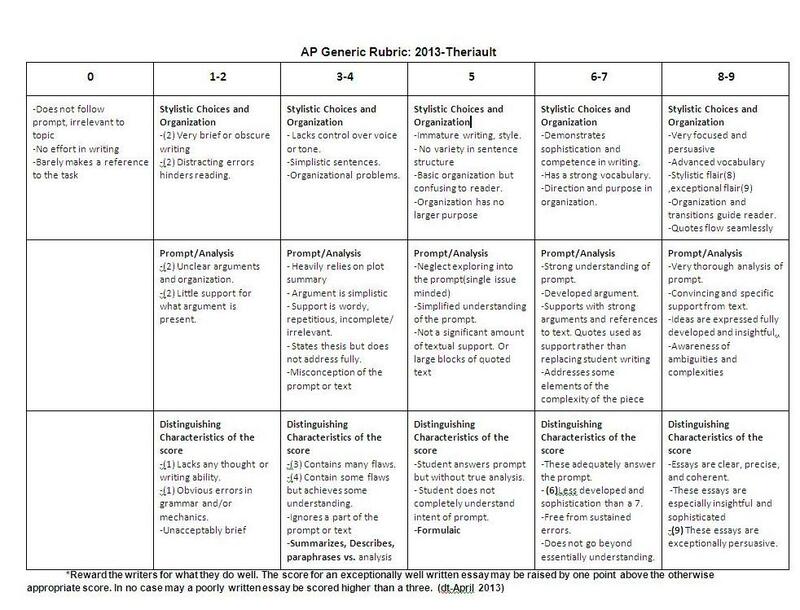 The Advanced Placement “rubric” that is available isn’t very user friendly. There is no separation of the scoring segments into debatable criteria. To fix this I had my students create their own rubrics in groups and then we used these rubrics to score their fellow students’ essays. I also have students create their own AP tests. When a student creates a test, mimics a test, or learns to ask a question or develop an assessment tool they see the task from the inside out. Here is a link to a Google Doc explaining the competitive group challenge. It has several links. If any of the links ever break please let me know. 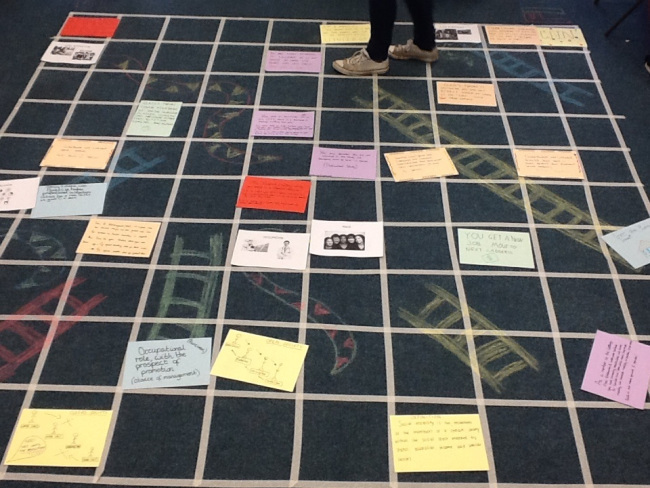 Rachel Jones from New Zealand used her classroom carpet to create this awesome learning experience setting up a Snakes and Ladders board game. How can you use your classroom or outside space to create a board game learning experience for your students. You can read more about her project here. 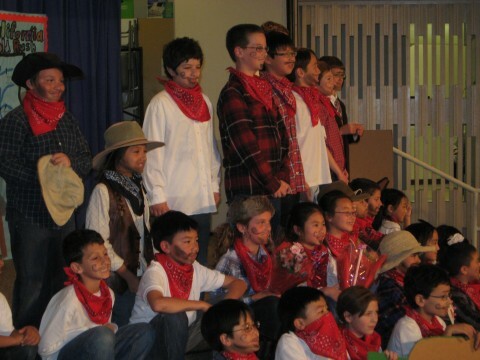 Remember when you were a kid and you performed at school with your class and all the parents came and watched? Well I’m going to do this with my students and their parents using Google+ Hangouts. When you start a Hangout you can live stream the event to YouTube. I’m going to have my students do presentations/performances, set up a schedule, and then invite parents to watch the live stream. Can’t wait to try this. If it works well I’ll blog about it. As you know from my post here-(BRAWL: Throw Socratic Seminars out) I’m a big fan of changing up the normal classroom discussion routines. How about this idea. EdCamp your classroom discussion. (If you don’t know what an EdCamp is click here) You can create a whiteboard session signup like the one pictured below and then challenge students to create discussion questions with discussion leaders. Create areas in your class or take the class outside and let them spread out. Tell them they can vote with their feet and move amongst the group. Don’t forget to have a final SLAM where they share their favorite ideas/quotes and give credit to the students who said them. You could even allow students to create art/writing activities or even use iPads or other tools to create learning experiences all run by your students, maybe even a dance session. Let your students talents run amok. This is a great blog post about characterization in fiction. It’s called The Table Theory. After reading your students could vote on their favorite characters of the school year and then have them “sit around a table” and talk. Perhaps it’s a certain time of year or day, or a certain topic is brought up. Heck you could have the students get in groups and write a story round robin style and then pick the best Table stories. If you are interested in how Google’s 20% project can work in your class then I suggest starting here for more information. 1. 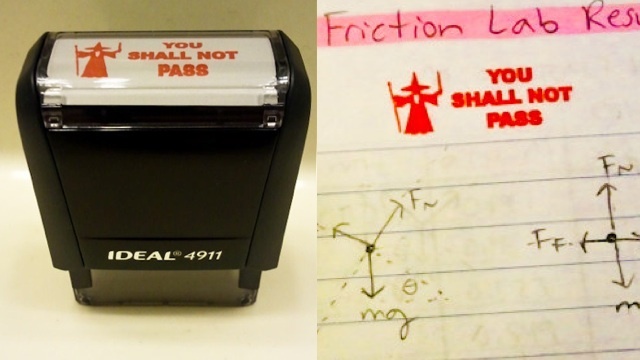 You could have students create positive or negative teacher stamps. What would be the most helpful or inspiring or humorous stamp you can create. My brother Justin Tripp: @MrJTripp sets up his review quizzes like a Pub Quiz. He then uses the game app Fruit Ninja as a timer. One student from each team gets a chance to play Fruit Ninja and then they can add the score from the game onto the groups score from answering questions. You need to pay for the upgraded version so that you can play in Arcade Mode which uses a visible timer set for one minute. 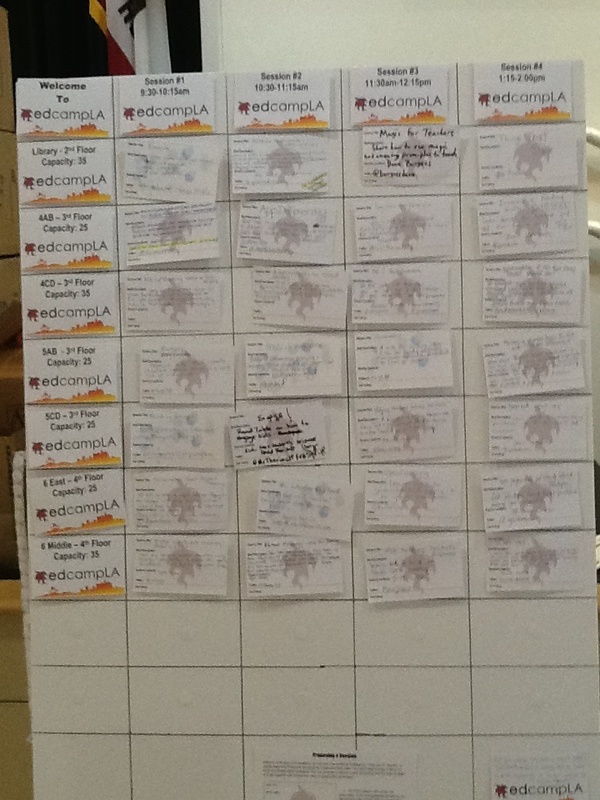 Here’s a video of it in action at EdCampLA. This is a great photo site: This particular photo story line is all about people’s life-lessons. You could have your students write, draw, collage, take photos of either their own life lessons, their family members life lessons, or the life lessons of some of their heroes. I like reading funny Yelp Reviews: click here for an example. You could create a Yelp account for an entire class or all of your classes. Challenge them to write funny reviews of their favorite local restaurant and then publish all of the reviews. Wait a few weeks and go back and see which ones were voted the funniest and then talk about why those reviews were the funniest. Or you could try and garner “useful” votes. This is not a quick lesson plan, but it’s an amazing lesson plan and blog post on how to make RSA style videos with your students. This would be very useful for Social Studies teachers or other teachers who need students to explain a concept or series of facts. In the article “Debunking Grammar Myths” Patricia T. O’Conner debunks five grammar myths. Have your students write a sentence on a particular subject. Tell them they must make at least four grammatical errors in the sentence. Spelling doesn’t count. Have students think-pair or get into groups and find the best ones and have them write them on the board. Talk about your favorites and how they work even with or because of the mistakes. In a world filled with a desperate striving to fill silence and to connect with others, a mini-lesson on “How to Be Alone” might be one of the best lesson you can do. Here is the video that the lesson is based on. So I try and do “one minute writes” as often as I can. They are fun and easy to read. Sometimes I will pick one or two students in class and have them read the whole class worth and then put a star on their favorites and share those with the class. I’m thinking about sometimes asking them to edit their one minute write to 140 characters (Tweet length) then picking the three best from each class and post them using SlideRocket (online PPT program) then using Sliderockets built-in comment feature students can politic for their favorites for a few days and then using the poll feature they can vote for their favorites (funniest/most thought-provoking/best etc…) and I will Tweet out the winner for the week. (I may need to tweak this, it’s a work in progress. So I’ve done this for many years and it always amuses me. Every year I have students write a parody of a Christmas carol using any book/story/poem we have read this year or any they have read in class in high school as inspiration. They can sing about the whole novel or just focus on a specific scene or character. I give out extra credit if they sing in front of the class. They can sing by themselves or with a group. I’ve had kids dress up, I’ve even had kids play the guitar, a synthesizer, and a dj turntable. Some kids ask if they can record themselves on YouTube and then play it in class and I think that’s fine. I do this writing activity every year before Thanksgiving. It works best to do it two days before the break. I read a thank you letter that I wrote to a co-worker, or student, or staff member. Then I tell students how I do this project every year and it really makes people’s day and how we rarely take the time to explain in detail why we are thankful for someone. Then I have students write thank you notes to a staff member: it can be a principal, office staff, psychologist, coach, teacher, custodian etc… I tell them I will be reading them first (and I do read the ones written by my squirrel-y kids) they are to write the name of the person on the outside of the letter and then I collect them. Later that day when no one is around the staff mailbox area I deliver all the letters. I always notice many of my co-workers with a strange smile on their face the next day. While not a lesson plan or writing prompt per se, this great blog post shows 13 practical examples of teacher feedback or assessment of learning and engagement. I’m interested in trying number 10 the next time I coach a team. 51 Student created journal write prompts for you to use just click on this sentence. Click here : A two page handout on how to integrate quotations in a paper. 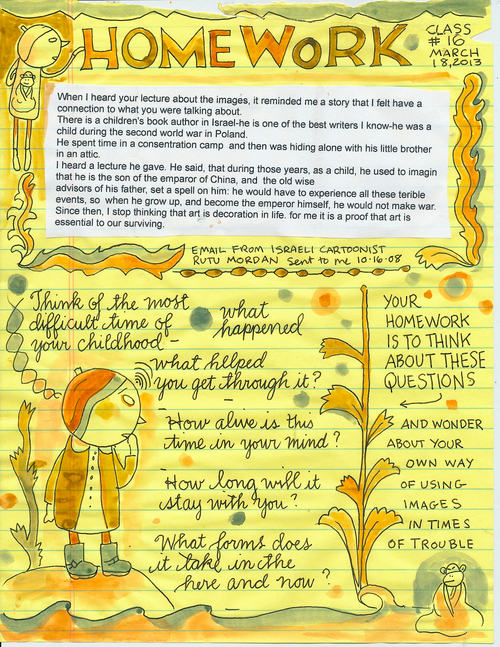 Journal writes are another awesome took in a teacher’s tool box. Unfortunately many teachers aren’t using them to their fullest capacity. I remember my dad showing how to really swing a hammer and after spending all day hitting a nail ten times it went in I finally listened and experienced nailing nirvana. Tap, BAM, BAM- done. It was awesome. Sometimes you get some really personal stuff and then it’s worry, scurry find the psychologist- hurry, hurry. Of course you want students to be able to approach you if you need help, but asking students to constantly approach topics from their own personal experience just invites the psych couch experience and sometimes that not what you need from them. Students don’t write in an interesting fashion. There is no style or unique voice. They approach a topic with a lack of passion that would make a robot jealous. They lack a real audience and they are just a onetime activity/experience. 1. At the beginning of the year I show my students ten journal write topics that I like and explain why I like them. Then I challenge them to write 10-15 JW topics for use in our class. I tell them that if they write down 10 they get a B, if I circle or highlight one to use they get an A and if I circle more than one they get extra credit. If your students use Google Docs or Google Forms you can collect all of them online without having to type them up yourself. I was able to quickly collect over 300 good topics in just my first year of doing this. The genre/mode they are choosing or the genre/mode I have assigned. Choices can be narrative, persuasive, a lyric poem, a song, a newspaper editorial etc… if you just want a reflection you can omit this. The voice: I require ALL students to write as a specific voice and it CAN’T be themselves. Well they can be themselves in the past (young child) or in the future but I prefer it to be someone else. It can be family, friends, someone famous or an item, object, or anything else. The tone: they must tell me a specific tone. I prefer that they express their tone towards both the audience and the subject. Sometimes I ask them to write down the mood. This WILL add passion and/or humor to their writing. The Audience– they must pick an audience and it’s can’t be me. They must write these down BEFORE they start writing. I find when they do this their writing is SO much better. 3. I collect these either the same day or the day after. Sometimes I will have them post the whole thing or a part online. Sometimes it will be a prompt that is the same as a writing contest and now that they have a rough draft I encourage them to enter. Sometimes I have them share them with their writing groups. Sometimes they revisit them and write them using a different voice, or to a different audience. 4. The best part of having them write down the voice, audience, etc… down before they write is that you can then have them do metacognition/evaluation/style analysis on their own journal writes. Have them circle three parts of their JW that shows voice or two parts that show audience awareness and then explain how you made those choices when you were writing. Have them write this down on the bottom or back of the journal write. Good luck. I hope one of these ideas will help you perfect the use of your Journal Write tool. November 5th- Here is a list of twelve magazine articles you may want to use with your students. November 1st- WRITING PROMPT-research paper prompt for the play Julius Caesar. 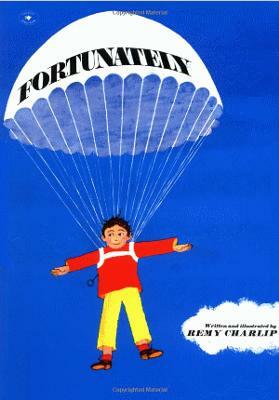 The WHOLE book is a series of plot complications and resolutions. This is a great book to show students the importance of conflict in a story. So I have the students get into pairs. One student is the fortunately and one student is the unfortunately and they just go back and forth creating conflict and trying creative ways to solve the conflict. It helps if before they start writing they agree on a character and an ultimate goal for that character. Then they can share their story with other groups or with the whole class. It’s very active and way way fun. How can you use the pictures found on this page to create a writing task/lesson for your students? Looking for a useful CAHSEE rubric that is better than the one the state gives out. I created these rubrics last year and I have to say they work WONDERFULLY. A comparison and analysis of a poem and a picture from the Edsitement! site. Love it!! My students could spend days doing the Fortunately/Unfortunately assignment. I wonder what stories made from those brainstorming sessions look like?